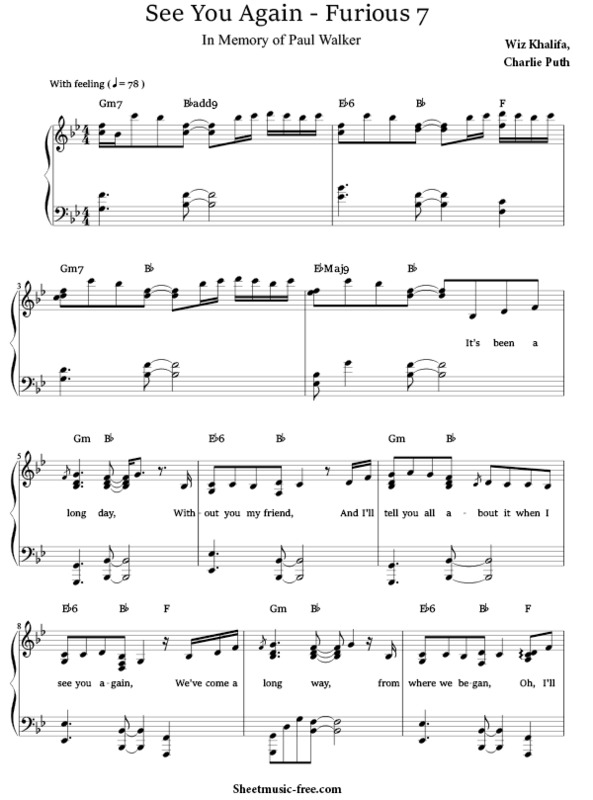 Download See You Again Sheet Music Wiz Khalifa Pdf free. See You Again Sheet Music composed by Wiz Khalifa and Charlie Puth. It belongs to the soundtrack of the film Furious 7. This song is a tribute to Paul Walker, who died in a traffic accident on November 30, 2013. Download See You Again Sheet Music by Wiz Khalifa y Charlie Puth PDF from this page, you will see download link under the picture. Version 2. See You Again Sheet Music Wiz Khalifa and Charlie Puth.